I had this idea, and after a lot of trial and error, I got them perfect. 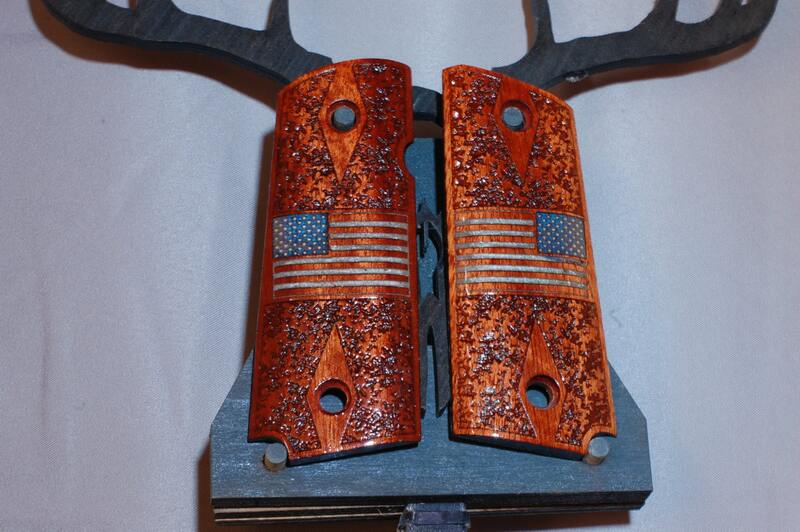 These grips have a resin inlaid flag, with White resin for the stripes on the flag, and blue resin for the field. 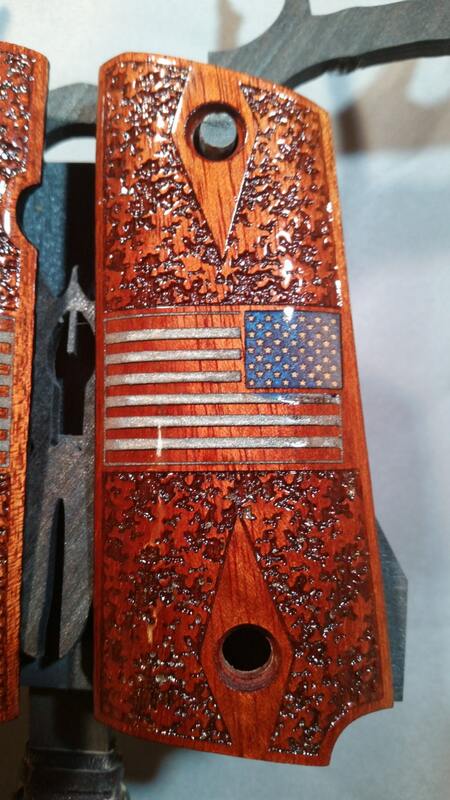 The stars are created with a separate inlay of MAPLE to get White stars in the blue field. 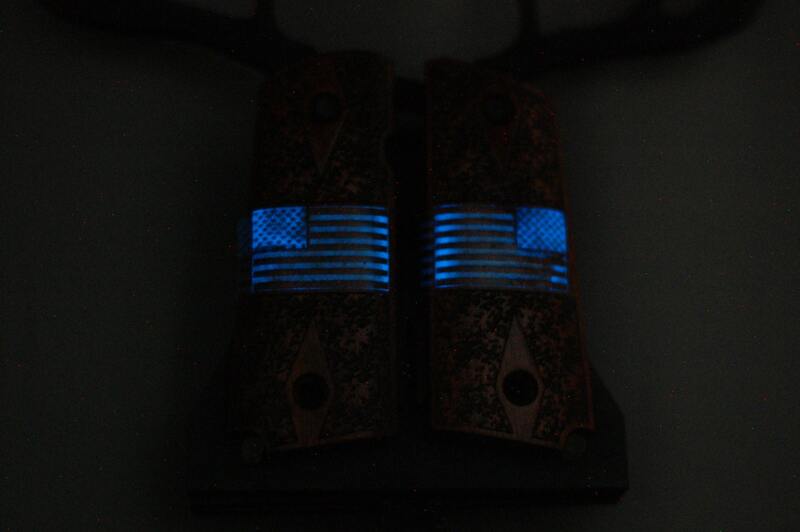 The resin inlays are all made to glow (a deep blue.) 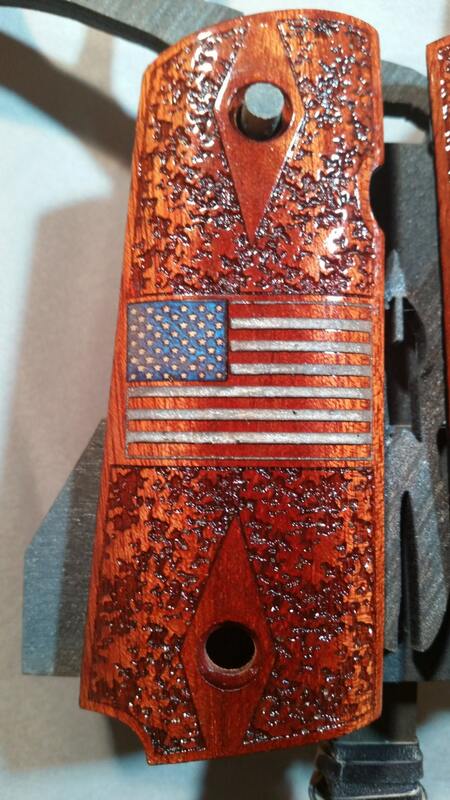 Above and below the flag is a random camo-style checkering with diamond reliefs for the screw holes. Believe me when I say that the pictures do NOT do these justice. 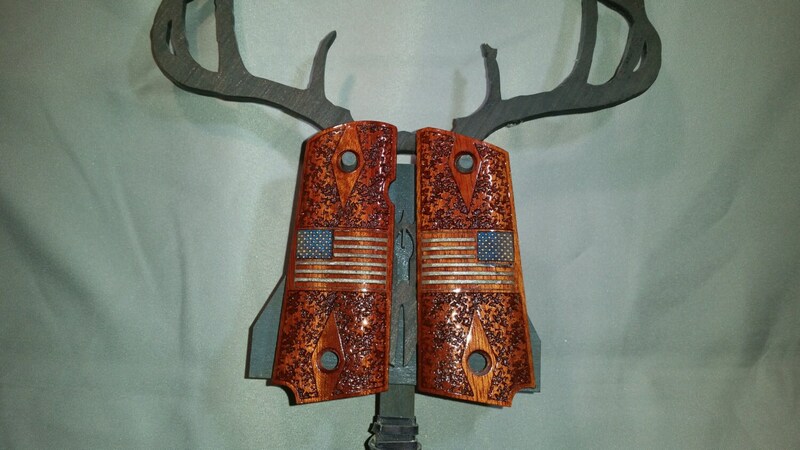 They have been test fitted on a Kimber, Colt, and Springfield, so they should fit just about any Compact 1911, although, due to manufacture differences, a small amount of fitting may be required.